This design was requested by a French couple who wished to cruise the New Caledonia Lagoon and Isle of Pines area with two (or sometimes four) persons aboard. 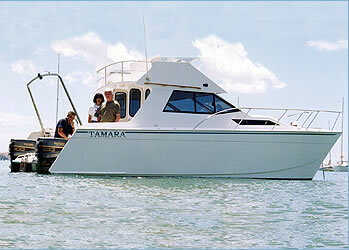 Outboard power was selected for simplicity and lower intial build costs. Originally drawn without a flybridge, but the owner finally opted for this because of the comfortable all year round temperatures at these latitudes.